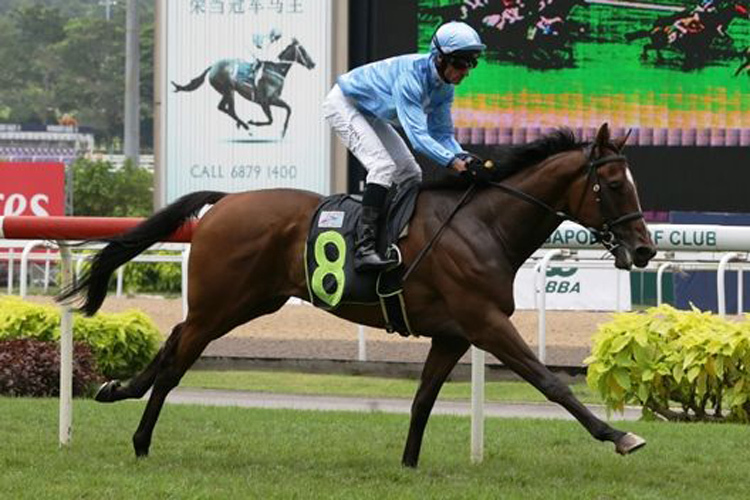 Promising three-year-old Quarter Back appears well placed to return to the winner's stall when due to contest the third event at Kranji this evening. 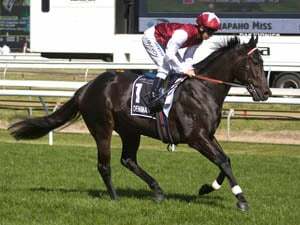 Only lightly raced, Quarter Back has won two of his six starts, most recently finishing fourth behind Bold Thruster in the Group 3 SAAS Fee Stakes [1200m]. 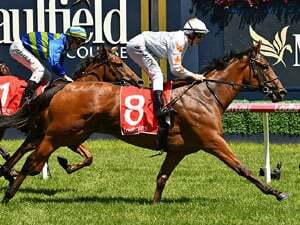 Sticking on well to the line on that occasion, he returned a new career peak and is clearly a galloper heading the right way. The drop back in grade will no doubt suit and he has drawn to receive all the favours for the in-form Vlad Duric. Overall Duric is striking at 23% when combined with the Michael Clements stable, a key jockey switch this evening. Quarter Back won his debut on the polytrack and suspect the SAAS Fee Stakes has given him the perfect platform for this Kranji Stakes C event. Both runs back have been very good and he should be right at his peak racing third up. No doubt he lines up against a few handy sprinters, but confident he can raise the bar again. When assessing Timeform weight adjusted ratings, he sits clear on best form and given there appears to be more to come, he should prove hard to beat. 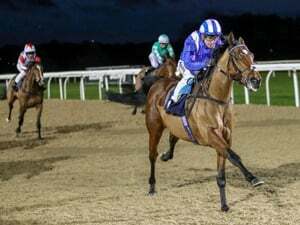 His closing splits first up were that of a very promising horse and if able to replicate that level of performance, he is sure to be right in the finish. The Ricardo Le Grange trained Pennywise is unbeaten in four attempts on the polytrack and obviously looms as a major threat. A winner of four of his six starts, he too is a very promising 3YO and while conceding weight to the former, he still appears well placed. 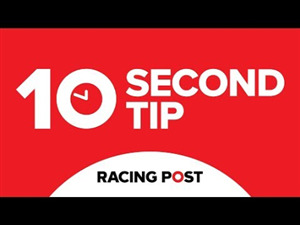 Coming into this on the fresh side (26 days) he has trialled well in the lead up and from the good draw he should find the front fairly comfortably. Vorster is unbeaten aboard the son of Pure Prize and he is sure to give them all something to chase. The Stephen Gray trained Lim's Dashing was no match for Nepean last start, but still ran well and appears the next in line. While he hasn't done a lot of winning (3/20), he has placed on a further eight occasions and is a must for the multiples. Of the rest the Alvin Tan trained Revolution appears the next in line. Returning from a short break (49 days) he has trialled well in the lead up and while he isn't rated as a high as the above 3YOs, he still has to be kept safe.